“You can now create teams backed by Office 365 groups with a dynamic membership rule for which membership is managed dynamically based on user or device properties in Azure Active Directory. If a user or device satisfies a rule for a group, they are added as a member, and when they no longer satisfy the rule, they are removed. A hospital can create different teams for nurses and doctors that automatically reflect current staffing. The functionality to enable a dynamic group with a team is now supported in the latest version of the Teams desktop and browser client. Teams with dynamic membership signal owners with the warning banner shown above. To put this another way, if you create a large team, say covering all the employees in a department or country, you must make sure that each one of those accounts has an Azure AD Premium P1 license. This isn’t an issue if you license Enterprise Mobility + Security (EMS) or one of the Microsoft 365 bundles as the license is included, or if you’ve bought the add-on for another of the Groups features that need the Azure AD Premium license, like imposing a naming convention for new groups. However, if you don’t have the licenses already, being asked to shell out an extra $6/user/month might be a significant hurdle in overcome in making the decision whether to use dynamic groups. Org-wide teams don’t use dynamic groups, so they don’t incur any need for extra licenses. However, these teams are currently limited to 1,000 members. If you need to create a larger team for org-wide communications up to the current 2,500 member limit for a team, you can use a dynamic group. We cover using dynamic Teams in Chapter 13 of the Office 365 for IT Pros eBook. 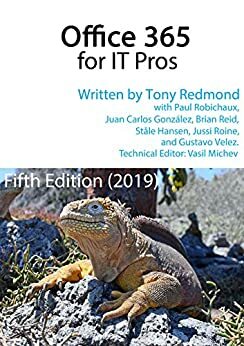 Other information is in Chapter 12, where we discuss the Azure AD policy for Groups and the features that need to be licensed.